With a reputation for speed, reliability and fantastic battery life, Acer laptops are a smart, affordable laptop choice. Stylishly meeting the needs of home, study and office, they’re packed with features for functional computing on the go. 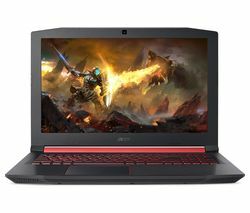 One of the most popular laptop brands on the market, Acer has established itself as a leading producer of powerful, affordable computers. Alongside laptops it also offers great value Chromebooks and its range of Aspire and Aspire Switch convertible laptops too. From touchscreens to serious laptops aimed at the business user, you’ll find a wide range of specs and styles to choose from, including red, blue, purple and white models. Our Acer laptops are kitted out with Intel® Core™, Celeron™, Atom™ or Pentium™ processors, for reliable speed and performance, and all come with Windows pre-installed so they’re ready to go straight out of the box. Screen sizes vary from an ultra-portable 10.1” to a large 17.3”, perfect for design work, movie watching and gaming. Hard drives range from 16GB to impressive 2TB solid state drives. 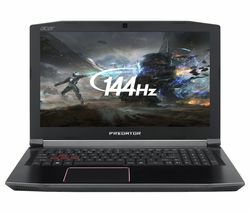 Whatever your computing needs – for gaming, work, study or browsing the web on the go – we have cheap Acer laptops to match. Check out our Toshiba laptop collection too for broad selection of laptop solutions.